Daniel has nearly 30 years experience in strategic communications and PR roles. He has worked in senior positions in both the public and private sectors. His experience includes projects with some of New Zealand’s higher profile companies, including Dominion Breweries, the Sealord Group, AXA, Contact Energy and Powerco. He also co-ordinated and led the government’s communications response to the 2001 hydro crisis, achieving the then Minister’s goal of 10% energy savings within six weeks. This entailed a comprehensive programme of stakeholder relations, structured media management and publicity, print and electronic advertising and direct mail. He also managed all the publicity and marketing for the launch of one of the first inter Island fast ferry services. Daniel has a particular interest in strategic communications planning, media management and marketing communications. He has chaired the central region committee of the Public Relations Institute for several years and sat on the Institute’s National Council and is regularly asked to speak at industry events, to address new entrants to the industry and to mentor junior practitioners. Lauren has a Bachelor of Communication majoring in Public Relations from Massey University. Her skillset includes public relations, writing, website content development, organisational awareness and customer service. 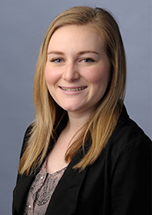 Lauren's scholastic achievements and experience with communication for community groups stands her in good stead for her position at The PR Company. This volunteer work includes gaining media coverage for Sport Manawatu, Basketball New Zealand and Volleyball New Zealand at a number of national school sporting events. She has also worked with SuperGrans Manawatu, initiating and distributing a regular newsletter and raising their profile in the local community. Lauren is currently volunteering with Forward Foundation to create a communication strategy. This will aim to have the charity recognised nationally for creating opportunities for female sporting development, leadership and achievement. Lauren keeps the administration side of things at The PR Company ticking, with a friendly and approachable personality. In her spare time Lauren enjoys swimming, running, and spending time with family and friends.